Applying for car finance for the first time? It can be a bit confusing; aside from the unfamiliar terms, you’ll have to choose from different types of car financing. To help you figure out which is best for your budget and needs, here’s what you need to know about two common types of auto financing: car lease and car loan. A lease is a form of financing that allows you to pay for a part of the car’s actual cost instead of paying for the entire cost (loan). The terms usually range from two to five years, and it comes with low upfront payments. The financing company owns the car and then rents it to you under a lease contract. A car loan lets you buy the car for its entire cost. Typically, car dealers ask for a 20% down payment for loans. The terms last for 10 years or more since you’re actually buying the car and paying for it via monthly fees. When you purchase a car, you own the vehicle so it’s under your name. Each type has its pros and cons, but if you want lower upfront fees and more flexible payment terms, go for a car lease. Check out the following benefits you’ll enjoy if you choose a lease to finance your vehicle. Low upfront payments – Get a car lease if you don’t have the funds for a 20% down payment, or if you’re saving your money for other expenses. With a car lease, you get to drive away in your own car after paying for an amount that’s way less than a loan down payment. More flexibility – Since lease terms last for two to five years, you have the flexibility to upgrade your car in case you want a newer model. 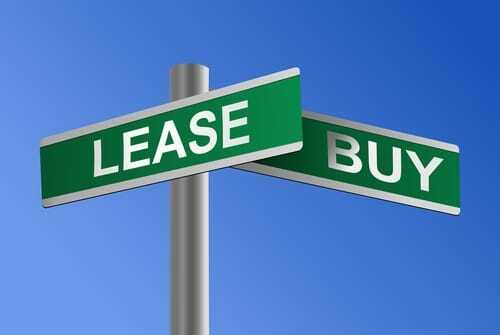 A lease is also your best bet, if, after a few years, you’ll be needing a bigger vehicle for your growing family. 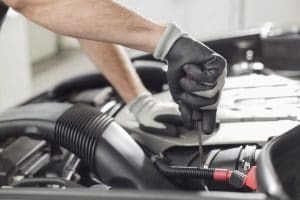 Warranty throughout the term – Because a lease lasts for two to five years, you’re sure that your car is covered by the manufacturer’s warranty throughout the lease. This means you’ll have less to worry about when it comes to repairs and part replacements. More options after the end of the term – Once your lease term is over, you have several options: return the car to the dealer; upgrade; purchase it by paying the remaining value; or lease it again for another two to five years. This means you won’t have to deal with selling a used car, which can be a hassle if you don’t have the time to put up ads and talk to potential buyers. Low upfront fee – The lower the upfront fee, the more freedom you have to go to a dealer and drive away with a car on the same day. Of course, you’ll need to submit certain documents for verification and proof that you can pay for the monthly or weekly payments. Weekly or monthly payments – Choose a lease that offers low monthly or weekly repayments so that it’ll be easier for you to budget your money. With all the other bills you’ll have to pay for every month, it can be difficult if a huge chunk of your income goes to car payments. Insurance and registration fees – Go for a lease that includes insurance and registration costs in its repayment terms. These mandatory charges can be a burden if you pay for them all at one go, so it’s better if they’re chopped into smaller amounts. Car make and model options – Choose a car finance company, such as Alpha Finance, that offers plenty of car makes and models so you get to choose a car that you really want. Plus, the more options you have, the more choices you’ll have in case you want to upgrade the car in the future. Bad credit options – Having problems getting car finance because of your bad credit history? Then go for a company that has finance options for people with poor or bad credit. Just because your credit score doesn’t meet the banks’ standards, it doesn’t mean you can’t get your own car. Fortunately, there are many companies that provide alternative options for those with bad credit. If you’re looking for an affordable car lease or want to know more about your finance options, call Alpha Finance.